Once again, we will be offering the SCRIP program during the holiday season. 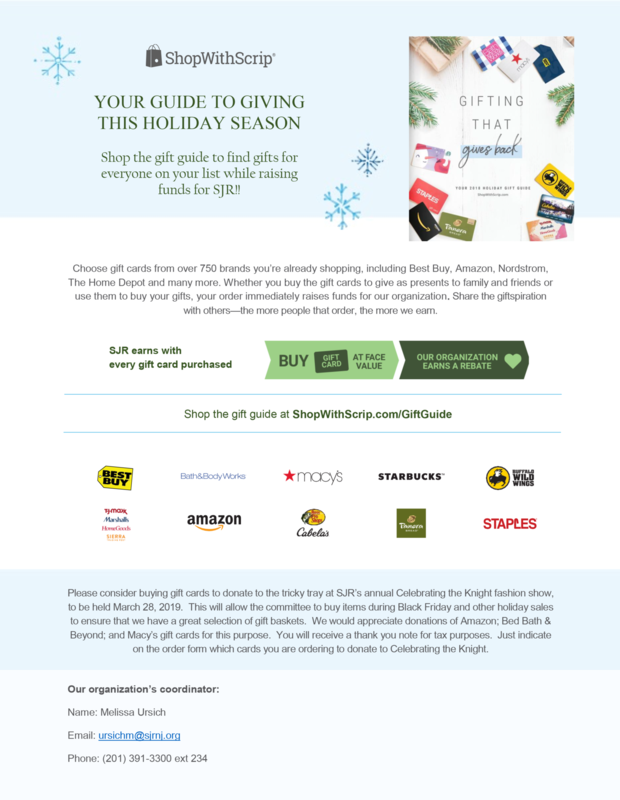 This is a great opportunity to purchase often used gift cards while also supporting SJR! We will be placing the first order on November 9 with pick up beginning on November 15. Please send completed order forms into the Development Office to the attention of Melissa Ursich.